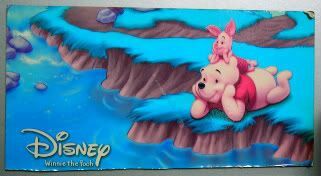 Lucky Pooh and Piglet. Ya know, replace that lazy stream with a television, and you basically have, well...me. I love sleeping Saturdays and Sundays away, in and out of sleep watching really crappy television. Those are my favorite weekends. Ever. This is not one of those weekends. It is, however, one of those days where I love this darn town. Love. I'll be busy as one of Pooh Bear's hunny bees, but where else can you visit a world-class museum and celeb-laden film festival, get a book autographed by an architect giving you a tour of a hotel, and try and save the world, all in one day? If I get up early enough, I'm dropping by the Met really quick to see their Walker Evans Postcard exhibit. He left the Met his entire collection of 9,000 historical postcards, and they're exhibiting them through May 25th. Hmm. I wonder which museum will get my magnet collection. Heh. I better draw up that paperwork. Hahahaah. 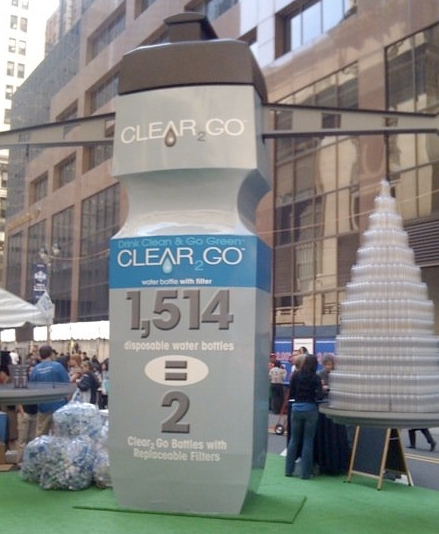 Then (and here's the plug), the Clear2Go folks are doing their HUGE event over at Grand Central all day. That ought to be huge amounts of fun - product demos, and giveaways, plus showing people what 1,514 disposable water bottles look like. Whoa. Annnyway, finally, as if it's not already a long day - I'm headed back down for the third volunteer night down at the Tribeca Film Festival. My confidentiality agreement forbids me to mention anything else...but I feel fairly certain that no one will be surprised that Josh Lucas is hot in person. And that's all I have to say about that. Ok. Wait. Last night, I stood right next to Josh Lucas (and Thomas Haden Church), and it was perfectly fine. Now, I'm freaking out because the guy who wrote my favorite architecture book is giving me a tour of the Plaza tomorrow. Seriously. What is wrong with this picture?